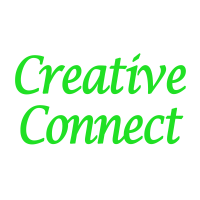 Creative Connect is the official communications platform of Creative Management. Online and on-the-go, Creative Connect delivers information the way you want to view it. Our one-touch technology can send messages via our unique Community Feed feature and through other e-delivery methods such as email, text and mobile push notifications. Best of all, the Creative Connect is a private communication tool, only accessible to authorized residents of your Community. Creative Management was formed in 2007 when two friends, who also served as Board Members on their community association boards, became exasperated with the level of management services available to them. They set out to create a management company that would provide homeowners’ associations, condo associations, coop and mobile home associations an affordable management company that would see things from the point of view of the Board. First they incorporated, found space to work from and invested in the infrastructure necessary to provide the service they wanted to give. Then they set about educating themselves with every available course offered to provide the insight and the certification necessary to offer the best in community association management. The next step was staffing with experienced personnel. They were confident in their own abilities, but knew that communities would want to feel assured that their manager had encountered problems like they had. They sought individuals who'd spent years working in the industry and shared their passion for dedicated customer service. With staffing accomplished, they began the search for Communities who desired greater services.